Are you interested in finding out the vaccination rates in your area? 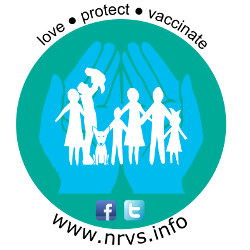 The Australian Institute of Health and Welfare measures and publishes statistics about the health and use of health care services in your community. As well as information about vaccination rates, you can also find out how your community is doing with regard a whole load of other measures of health, such as preventable deaths, overall life expectancy, and infant mortality. There is also data on smoking, obesity and use of health care services. This data is freely available, and you can not only look up your area, but you can compare this to other regions. To look up the data on your Primary Health Network region, have a look here. For more specific information on vaccination rates at a postcode level, have a look here. 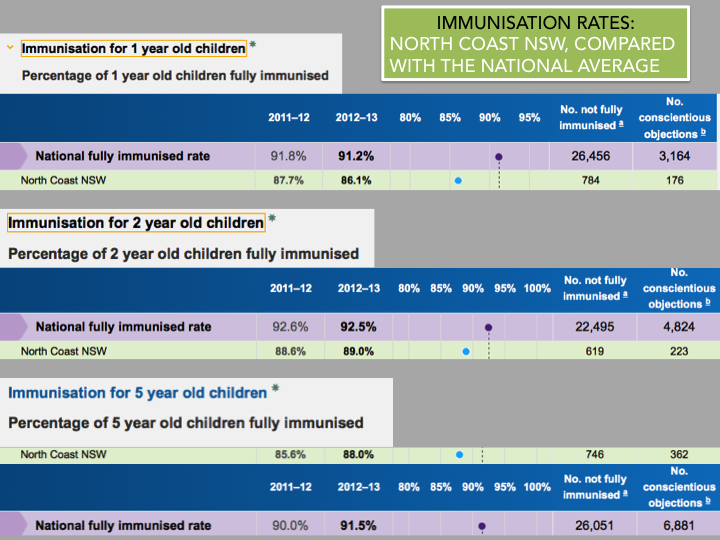 And for a more detailed analysis of the national data on immunisation rates, the published report is available here. 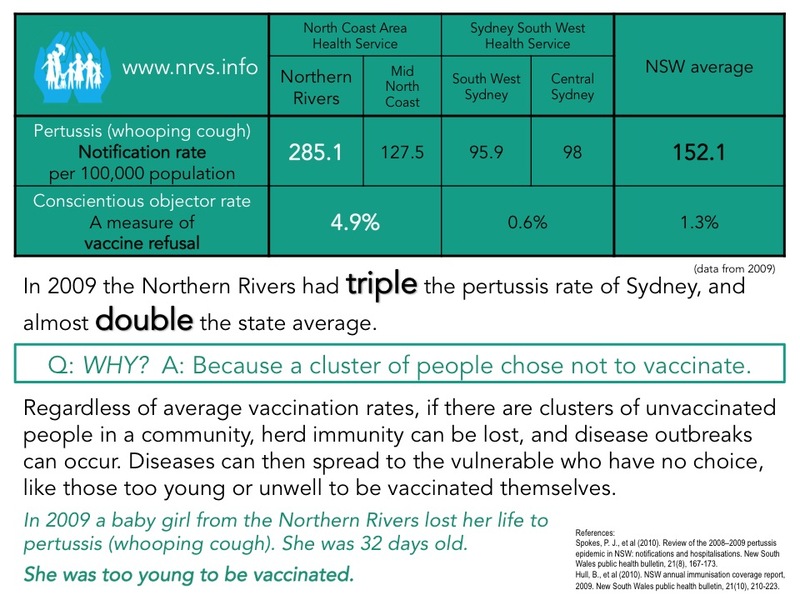 As an example, from this data we can see that the vaccination rates in the North Coast of NSW are far lower than the national average (we form a geographical cluster of unimmunised and therefore susceptible people), and in some specific parts of the region, rates are even less. One confronting fact from this data is that the vaccination rate in Mullumbimby is actually lower than in South Sudan. These scarily low vaccination rates that are the reason behind the NRVS existing. Our mission is to ensure that our community is better protected from preventable disease, as once the vaccination rates get this low herd immunity is effectively lost, leaving us all at risk of epidemics of disease. For pertussis notification data in your area from 2009 see here. Salathé, M., & Bonhoeffer, S. (2008). The effect of opinion clustering on disease outbreaks. Journal of The Royal Society Interface, 5(29), 1505-1508. Omer, S. B., Salmon, D. A., Orenstein, W. A., deHart, M. P., & Halsey, N. (2009). Vaccine refusal, mandatory immunization, and the risks of vaccine-preventable diseases. New England Journal of Medicine, 360(19), 1981-1988. May, T., & Silverman, R. D. (2003). ‘Clustering of exemptions’ as a collective action threat to herd immunity. Vaccine, 21(11), 1048-1051.